It’s not just Trump's proposed border: We live in a wall-building age. Should Donald Trump actually succeed in building his long-promised wall along Mexico’s border with the United States, he’ll be in good company. 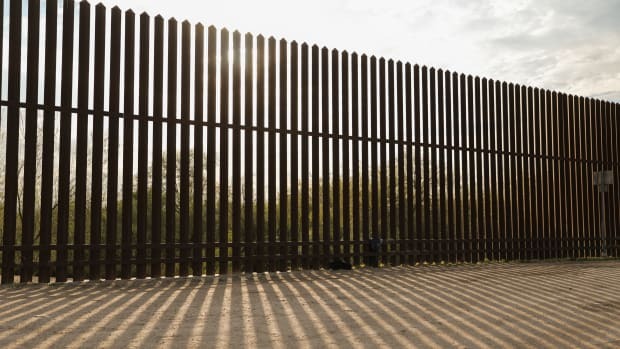 Walls have long been a symbol of—and a tool in—the division between sovereignties, “From the building of the Roman Limes in the second century CE ... up to more modern structures such as the iconic Berlin Wall,” as University of Quebec geographer Elisabeth Vallet writes in her book, Borders, Fences and Walls. We thought it might be instructive to take a quick tour of recently built border structures, to see what they’ve achieved, and what challenges they’ve faced. While we can’t say which of these problems would apply to the Mexican border, we can certainly infer that these structures often aren’t easy to maintain. Israeli soldiers patrol in East Jerusalem along the concrete separation barrier bordering Abu Dis, West Bank, in 2006. 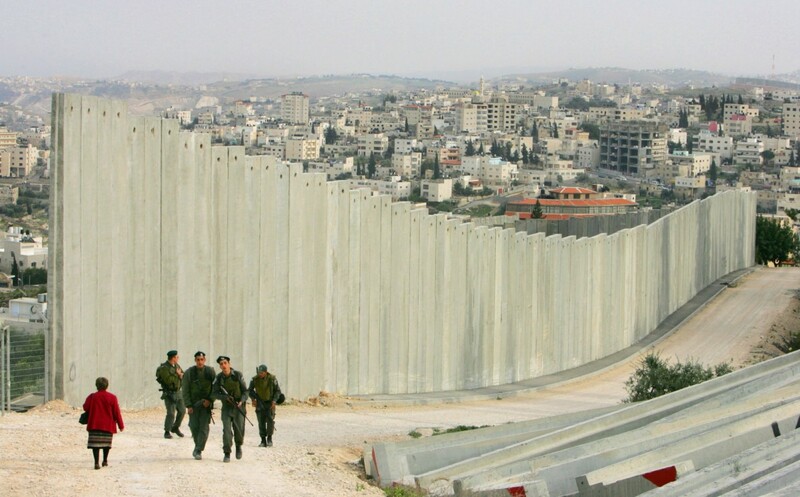 Israel began building its 420-mile-long “separation barrier” in 2002, dividing it from the Palestinian territories. Israel argues the wall is necessary to prevent deadly terrorist attacks, which had spiked at the time of its construction. The barrier’s opponents say it unfairly stymies ordinary Palestinians, cutting them off from jobs and farmland. Parts of the barrier are made of eight-meter-tall concrete slabs, which seem in line with Trump’s promise. Israel’s wall has faced some legal and cultural push back. In 2004, the International Court of Justice concluded the separation barrier was “contrary to international law,” but the ruling didn’t have any legal power. 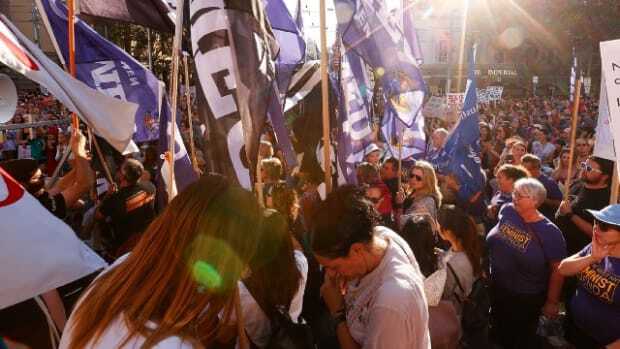 Other legal challenges have beensuccessful at altering the barrier’s route. Parts of the wall are painted over with elaborate political graffiti, perhaps inspired by graffiti artist Banksy’s visit in 2005, when he made nine peace- and freedom-themed paintings on the barrier and nearby buildings. 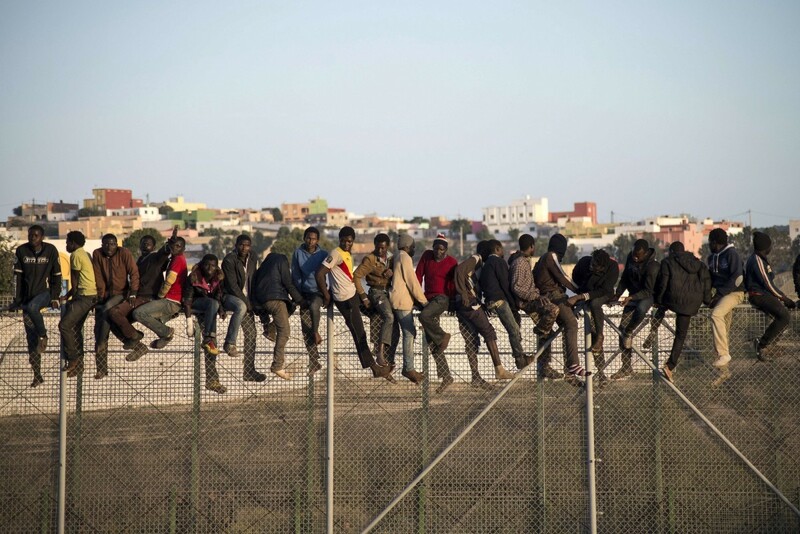 Would-be immigrants stand atop a boarder fence separating Morocco from the north African Spanish enclave of Melilla in 2014. Along the borders of two Spanish cities on the Mediterranean Sea are enormous fences separating what’s technically European Union soil from African territory. Border security and infrastructure here seem overwhelmed. 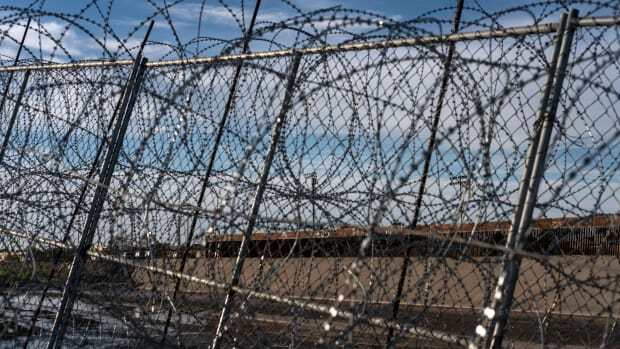 Dozens of people are thought to cross the fences illegally every day, NPR reported in 2015. Many African migrants who come to escape poverty and terrorism end up in over-filled, “prisonlike” centers while awaiting paperwork. Some find themselves in limbo in Morocco for years, unable to enter Europe, but unwilling to leave the border, the Wall Street Journal reports. Peace lines on the right in Belfast, Ireland, in 2013. 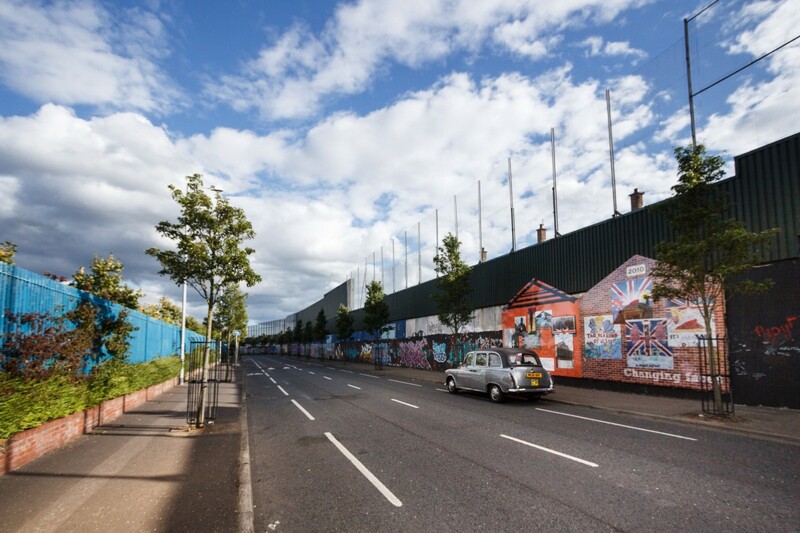 Belfast’s “peace lines” — constituting anything from corrugated iron fences to brick walls — date to the Troubles of the 1960s through the 1990s. The British Army built the first peace lines to separate Catholic and Protestant communities in the city and quell violent clashes between the two, which had killed more than 3,000 people over three decades. While the political situation in Northern Ireland quieted after an agreement in 1998, the walls still remain, the Guardian reports. Local organizations have tried to improve community relations and literally tear down walls, but that’s proven politically and financially difficult. Northern Ireland officials say they want all the peace lines gone by 2023, but it’s unclear if that’s possible. Since 9/11, data shows the number of border barriers around the world has skyrocketed. What’s driving the construction boom? At first glance, you might guess that other countries feared for their own safety after the terrorist attack on America soil. But that’s likely an insufficient answer: The new barriers went up so quickly after 2001, many of them must have been in the works prior to September 11th, Vallet argues in Borders, Fences and Walls. What the world’s walls really represent is a “reaction against fast-paced globalization,” Vallet writes, and nations’ fears that they could lose their identity. 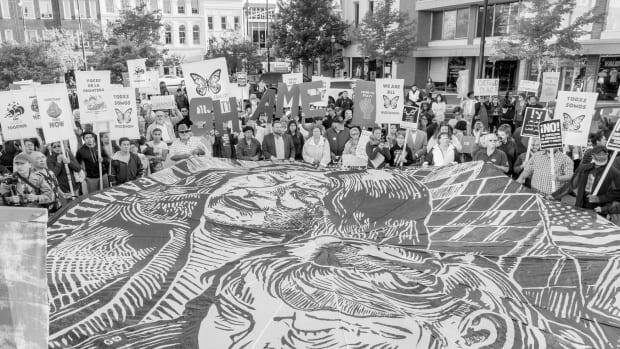 On how politics and fear, rather than the day-to-day risks and realities of life at the U.S.-Mexico border, have historically shaped border policies. Following the president's primetime address, we collected Pacific Standard's most pertinent stories on immigration, border security, and the wall proposal. Since ancient times, border walls have simultaneously assuaged and stoked our fears of outsiders. But a history of walls can't tell the full story of civilization. 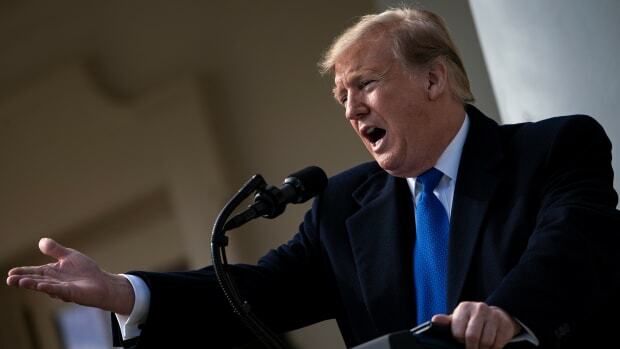 Recent polling reveals that most Americans oppose the expansion of the border wall, and two-thirds oppose Trump using emergency powers to fund its construction.